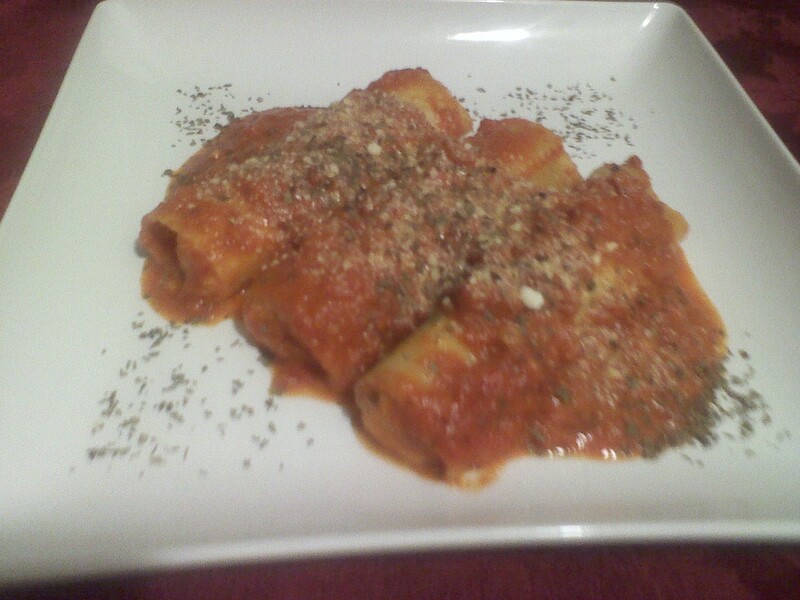 One of the popular Italian dishes I made tonight was stuffed Manicotti. It’s easy to make, and with Manicotti, just like stuffed shells, you can create your own unique filling; or go with the traditional ricotta and parsely. Have you created a unique filling for Manicotti or Stuffed Shells? Next Post Stir it up! hmm not made manicotti, is it like cannelloni? Cannelloni is a sweet dessert made with a hard shell. Manicotti is a pasta its shaped like a cannelloi bu its not sweet and its filled with Ricotta and parsley (Traditionally)..you should try it sometime you will probably like it. I’ve been cooking cannelloni as a Chef for more than 15 years as a savoury dish, would like to try a dessert version though, thanks for the idea! Have you ever tried roasted butternut squash, sage and brown butter as a filling? Delicious. If you have time and patience manicotti (or cannelloni, essentially the same thing but cannelloni tend to be bigger) making them with crepes is also great – and, if you are entertaining, it makes you look like such a star! It’s a bit time consuming but so easy. It’s 9 am and your blog is making me hungry….